PHUKET: Police have presented the personal diary of Sakol Srisompotch, the 58-year-old President of the Patong Tuk-Tuk Club who was murdered last week, as a vital piece of evidence in their bringing his alleged killers to justice. The diary details the ongoing conflict Mr Sakol had with Wattana “Dam” Nawakeaw, 38, who heads the “KT Tuk Tuk – Taxi Service” group. Wattana now faces charges of conspiracy to murder Mr Sakol. The KT group is legally allocated by the government to operate in Kata and Karon. They may take passengers elsewhere on the island, but may not pick up passengers outside of their legal “patch”. However, Mr Wattana and his cadre of tuk-tuk drivers had carved out territory of their own in the heart of Patong. They had done so illegally, and for more than two years after the military led a police crackdown on Phuket’s powerful transport mafia. Both have been charged with conspiracy to murder, conspiracy to illegally obtain a firearm, and conspiracy to bring a firearm into a public area without permission. Wattana denied the charges, but Thong confessed to his role in the slaying, Kathu Police Deputy Chief Investigator Lt Col Amponwat Seangreung told The Phuket News. All four are no longer in Phuket, he added. “We have located two more suspects. They have been arrested and will be sent back to face charges here, and we are still tracking down the other two,” Col Amponwat said. The “hit” was contracted out to one group, of which three of the seven suspects are teenagers, Col Amponwat noted. “Actually, they are all from the same extended family,” he explained. While the diary, and accompanying voice and video clips, comprise a key piece of evidence, the arrests and hunt for the remaining suspects follows corroboration provided by private and public authority CCTV and witness statements, and tracking them down through social media, Col Amponwat noted. “Our investigation shows that this was a planned execution,” he said. The Phuket News was permitted to see – and make a transcript of – the entries Mr Sakol made in his diary on one day only – the last day of his life, Oct 25. However, Col Amponwat said The Phuket News was not permitted to publish the exact words written by Mr Sakol on that day. He also did not allow The Phuket News to view any other pages of the diary. Col Amponwat also declined to provide any images from the CCTV footage. “That will be presented in court as evidence,” he said. Col Amponwat said he had yet to determine how much the alleged killers were hired for. “But the dispute was over a lot of money – a lot of money,” he said. By example, Col Amponwat explained that the illegal tuk-tuks cost about B150,000 each. “But operating a fully legal tuk-tuk costs B700,000 to B800,000 each,” he said. However, Phuket Land Transport Office (PLTO) Chief Sommai Sutkhao said that registering a new tuk-tuk costs less than B1,000. “That does not include the transport service permit, which costs B1,500 per seven years,” he said. Adding to the conflict, Wattana and his group had taken up position in an area where drivers under Mr Sakol’s Patong Tuk-tuk Club had operated for years, Col Amponwat noted. The flashpoint for the killing is likely to have been Mr Sakol’s filing of formal complaints against illegal tuk-tuk drivers. Among Mr Sakol’s complaints, he called for serious action against illegal tuk-tuk drivers and he accused Patong Police of working with mafia figures by allowing them to operate. Two years later and Watanna and his co-drivers were back in Patong, with no action by police until Mr Sakol on Sept 6 this year filed a formal complaint accusing Wattana and his drivers of operating tuk-tuks illegally. 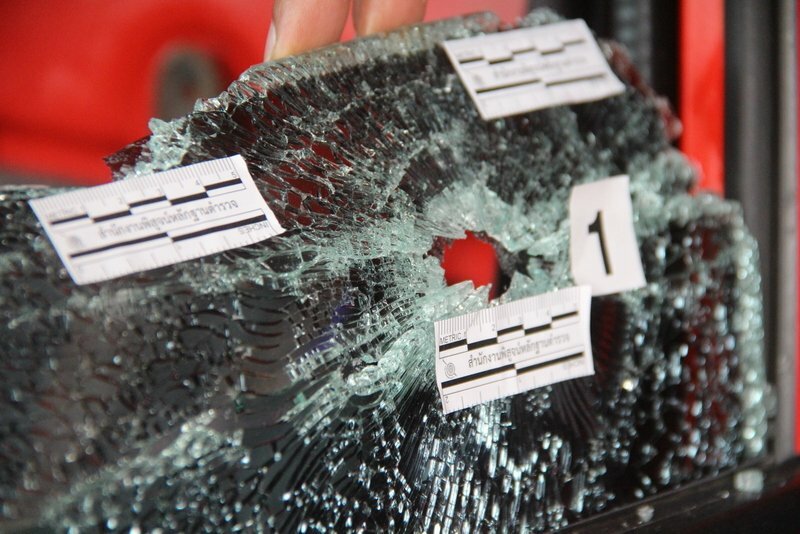 “We asked Patong Police about this. They said they had responded to the complaint already. For details about that, you need to ask them,” he said. However, PLTO Chief Sommai confirmed to The Phuket News on Wednesday that the penalty is now up to two years in jail and a fine of up to B200,000. Following the military crackdown on Phuket’s taxi and tuk-tuk mafia (see story here) – and Prime Minister Gen Prayut Chan-o-cha himself standing in Phuket International Airport on Sept 16 this year warning that “The mafia problem must not happen again” (see story here) – Patong Police offered no explanation as to how so many illegal tuk-tuks were operating in plain sight in Phuket’s busiest tourism town. “We set up checkpoints and check taxi and tuk-tuk queues, and we announce to people that illegal vehicles are banned in this area,” Patong Police Chief Col Chaiwat Uikum said on Wednesday. “We check that tuk-tuks are registered and that the drivers have the correct driving licenses, and that they a fit and proper to work as transport drivers,” he said. Meanwhile, Col Amponwat praised Mr Sakol’s stand against the illegal tuk-tuk drivers that he faced every day. “Mr Sakol was warned about the consequence but stood strong in upholding the law. That’s the risk of standing up to ‘influential people’ in Patong,” he said. And my first thought was: Is the mafia than gone from Phuket? Don't we experience them almost daily? I agree with Samantha... the Police are at the root of so many problems, if not all of them. They seem to operate against the law more than any other group. They need to be gutted...100%, and have a military law enforcement attachment assigned country-wide. No more corrupt police. Sounds like they need to get rid of the corrupt police who are doing deals with the illegal tuk tuk's or get rid of all tuk tuk's and have metered taxi's only. This is a better solution. 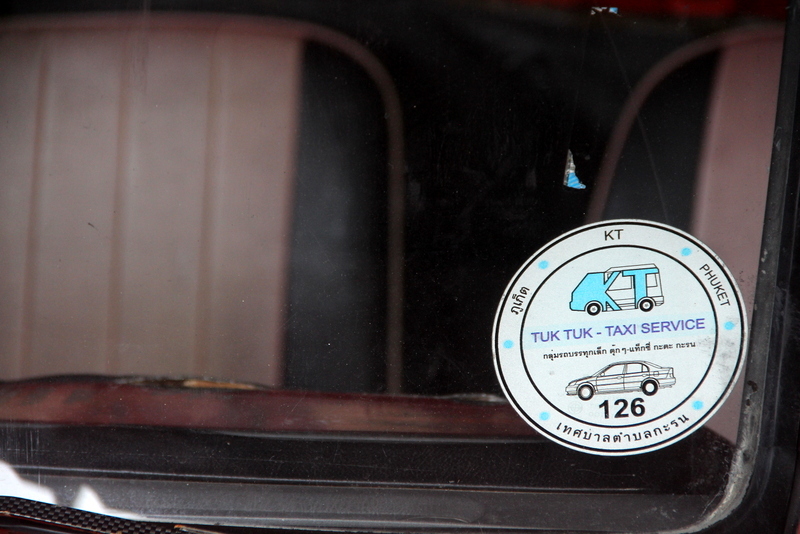 Drivers for tuk-tuk, taxi and minibus do not care much to make money with the official transport fees. Instead, all of them have a lot of tour brochures and maps to tout tourists to go to tourism shows, elephant trekking camps, zoos, souvenir shops, seafood restaurants, and so on.... and get up to 50% commission on sales to their customers. When will they check out the yellow-roof Tuk-Tuks operating in Karon? They are legal only within the limit of Phuket City, aren't they?